Oman has asked more detailed proposals for Eurofighter Typhoon fighter aircraft to BAE Systems. British arms manufacturer BAE Systems said Monday that the the Sultanate of Oman has asked for more detailed proposals for the Eurofighter Typhoon, as it edged closer towards a possible deal. Oman had stated its intention to purchase Typhoon aircraft in 2010 and on Monday it issued a "request for proposals" to BAE Systems. 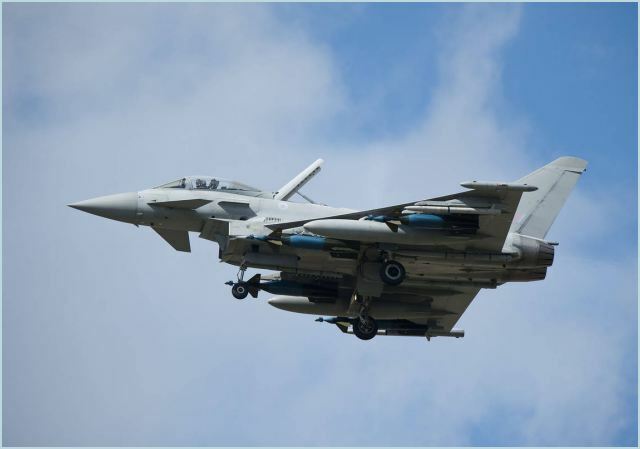 "BAE Systems welcomes the release of a request for proposals for the supply and support of Typhoon fighter aircraft for the Royal Air Force of Oman," a company spokesman told AFP. "This news underpins the long-standing defence and security relationship between Oman and the United Kingdom and between the armed forces in Oman and BAE Systems, a major supplier of equipment and services to the Sultanate." The aircraft would be built at BAE's site in Warton, near Preston in Lancashire, northwest England. Contractual negotiations are due to begin shortly, with BAE expecting it to involve 12 aircraft, to be delivered within 36 months after the deal is signed. The Eurofighter is a project which involves companies from Britain, Germany, Italy and Spain. The British government welcomed the latest announcement. "This represents an important step towards the contract," a government spokesman said. "Not only is this a further sign of the strong and enduring relationship between the two countries, but it also presents a further opportunity for both governments and respective industries to work together to bring wider economic, training and education benefits to Oman." Last September, BAE Systems had axed 3,000 jobs -- mostly at its military aircraft division -- and had blamed reduced spending by cash-strapped governments that has slashed demand for fighter jets.